The Torņakalns complex is a large-scale neighbourhood that is currently being planned and constructed Riga’s existing Tornakalns district. 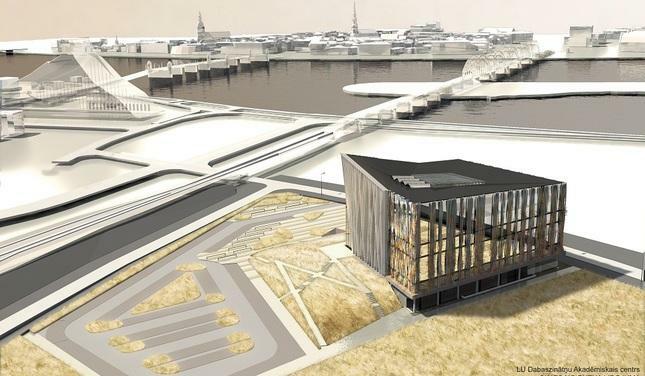 The initiative derives from wider plans to develop a new city centre - the Pārdaugava centre. It is also a result of long term discussions on the concept and location of a new administrative centre for the city, which will now be established as part of the new complex. recreational and shopping areas and transport services. The Torņakalns project is designed to help meet the city’s overall strategic 2030 goal; to create energy efficient, resident-friendly and modern neighbourhoods with reduced traffic flow in the city centre and neighbourhoods situated close to the centre being used more intensively. Political leadership with a long term approach - long term political support has been key to work on the Torņakalns complex to date, with the historical roots of the initiative starting when the concept and location of a new administrative centre for the city of Riga was discussed over 10 years ago. Collaboration and dialogue with all stakeholders - through a management and marketing committee (established in 2008) with 22 members from stakeholder organisations. Each organisation represented a particular area, and the committee enabled stakeholders to harmonise projects and decisions, create ideas and find solutions. Citizens have also been engaged through an exhibition of the projects for all Riga residents and a four week public consultation. Business models to attract investment - The first stage of the initiative, which focuses on the establishment of the university buildings and their equipment, is partly financed by the European Regional Development Fund and partly by Latvian governmental organisations. To read a full report on Smart solutions for a new building complex in the Tornakalns district and why it is a good example of a Lighthouse initiative click here.